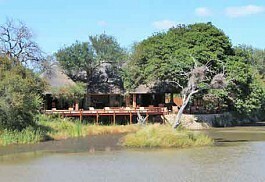 The Klaserie Private Nature Reserve shares unfenced borders with the Timbavati Game Reserve and Kruger Park. Safaris within the Klaserie offer guests a chance to get involved in the tracking of Africa's big game. The Klaserie Private Nature Reserve lies to the west of the Timbavati Game Reserve (home of the wild white lions) covering 60 000 hectares on both sides of the Klaserie River. The private nature of this wilderness sanctuary enables visitors to embrace the African bushveld. It allows guests to take in the sights, sounds and smells that make the bushveld such a unique experience. 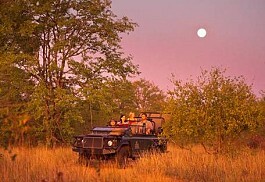 Safaris within this unspoilt region of the Greater Kruger National Park focus on the bush and its ecosystems. Klaserie is part of an exclusive, privately-owned wildlife sanctuary. The area is renowned as a home to the Big 5 and offers incredible game viewing opportunities. Guests can expect to see lion, leopard, elephant, rhino, buffalo as well as an abundance of plains game and incredible birdlife, whilst experiencing it all on guided walks, off road, and at night. The Klaserie Private Nature Reserve is the Kruger's hidden secret. 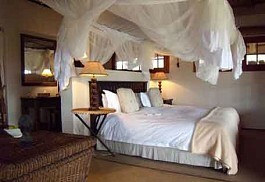 The hadful of safari camps located in this reserve focus on offering affordable, intimate safaris. 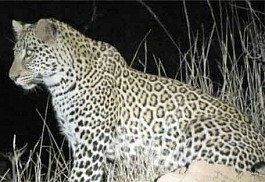 With it being one of the least commercial reserves of the Greater Kruger, guests get to spend longer at the special sightings. 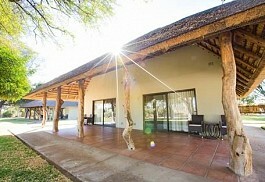 In addition, the reserve is ideal for walking safaris. Game is highly populated in the Klaserie, which is home to some endangered species, such as the African wild dog, Southern ground hornbill, white-backed vulture, and white lion. 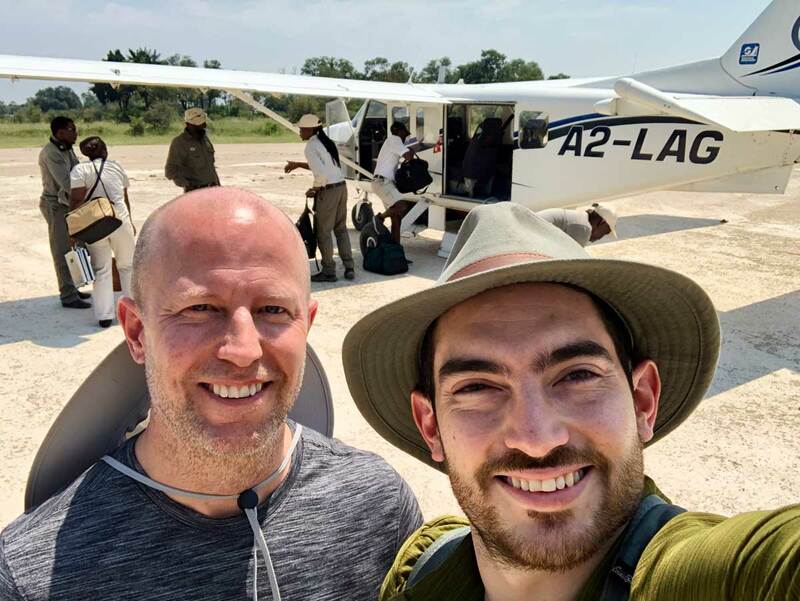 Both Africa on Foot and nThambo Tree Camp offer free road transfers from Hoedspruit Airport, which is another great cost saver. Using the daily shuttle services from Johannesburg also offers guests inexpensive daily road transfers to the camps. 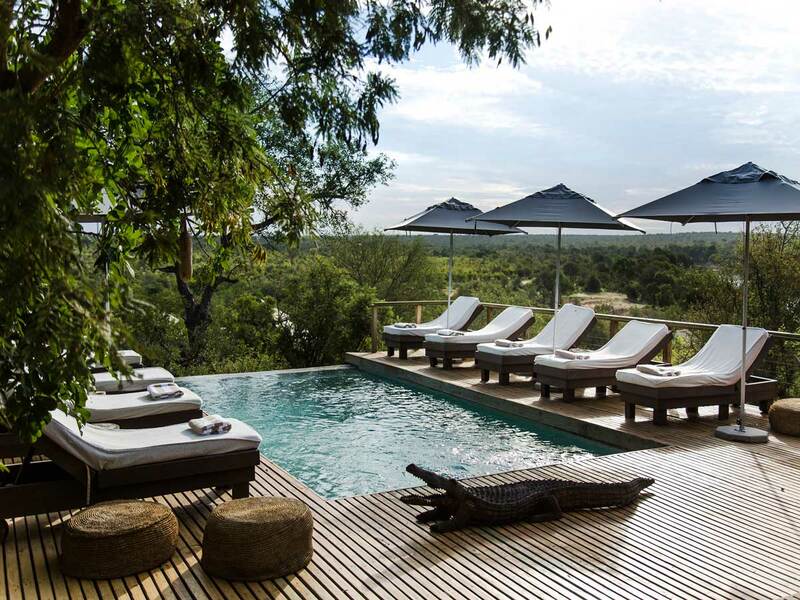 Makumu is a luxury lodge in the Greater Kruger area. This exclusive use lodge gives guests a unique safari experience, with dedicated guides and trackers, and lodge staff. A visit to Makumu will delight and have you coming back again! Senalala Luxury Safari Camp offers a once in a lifetime Kruger safari experience. Overlooking an active waterhole, visitors to Senalala can enjoy game viewing from the camp. 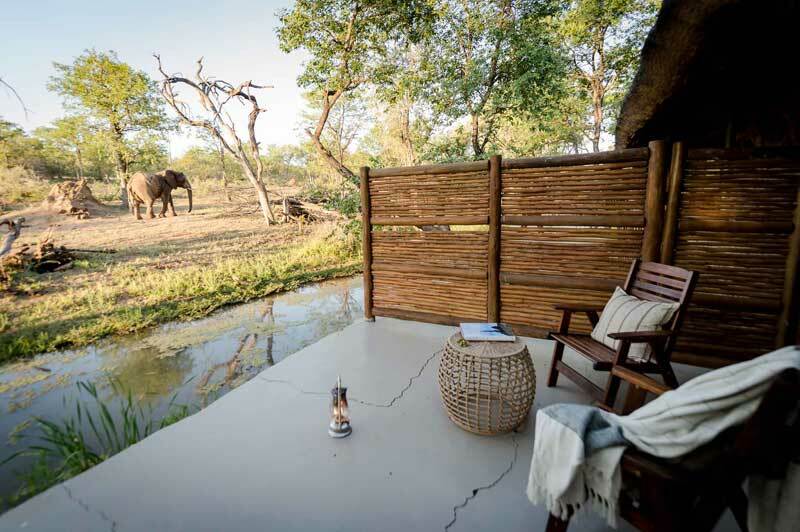 Nzumba Camp offers a quiet and peaceful location in a high lying area of the Klaserie Private Nature Reserve; an authentic African safari lodge accommodating only 10 guests in luxurious, fully serviced thatched chalets with beautiful bathrooms. 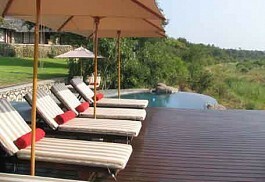 Nyeleti Camp offers guests a peaceful retreat in the Klaserie Private Nature Reserve. Nyeleti is a typical Kruger Park camp, family-friendly and offered on a self-catered basis with activities at an extra cost. nDzuti is based within the Klaserie Game Reserve, and has a large oxbow of the Klaserie River meandering through the concession, providing regular sightings of breeding herds of elephants and quality time with the leopards that seek out the river systems. Elephants Drift Safari Lodge, located in the Klaserie Private Reserve is a traditional, rustic thatched style accommodation. 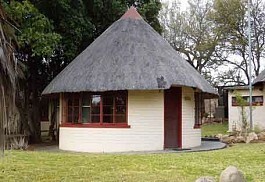 The lodge offers five rooms, furnished with antiques and vintage fabrics, giving it a stylish touch of Africa. 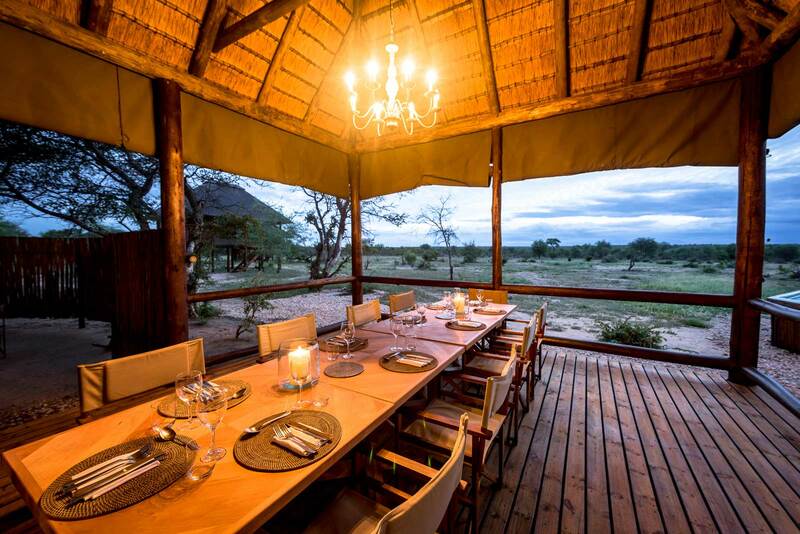 Xanatseni Private Camp is a thatched camp with just five bedrooms, offering a charming and comfortable safari experience for safari goers of all ages! 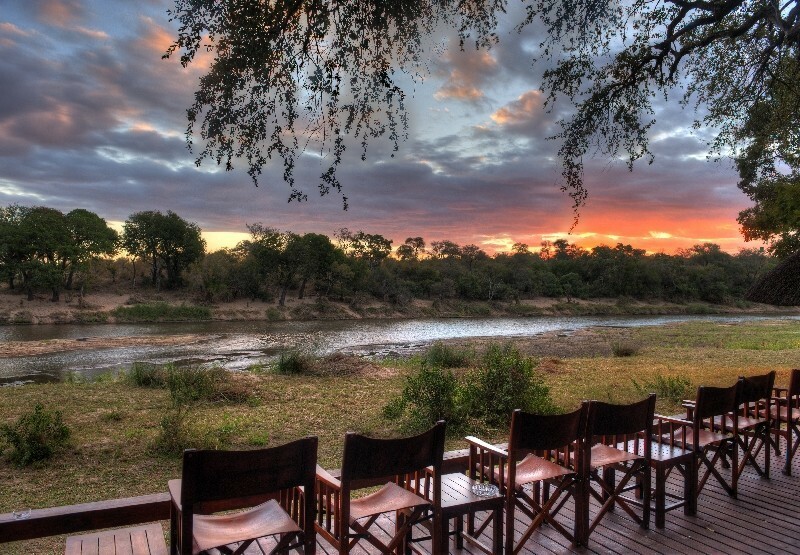 In a magnificent game viewing area lies Klaserie Sands River Camp. This luxury safari camp is nestled under Jackalberry and Leadwood trees. Offering game drives, bush walks and bush dinners, Klaserie Sands River Camp is a beautiful new addition to the Klaserie Reserve. The Klaserie has some excellent safari camps, and Africa on Foot and nThambo Tree Camp are without doubt two of the best. Africa on Foot is a rustic bush camp, offering guests exhilirating walking safaris. In addition to proper walking safaris in the Kruger, Africa on Foot also takes guests on afternoon game drives and night drives. Great guides, home-cooking, and comfortable accommodation. nThambo Tree Camp is another gem in the Klaserie. 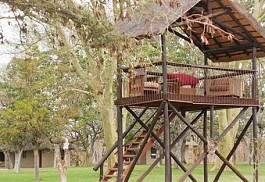 The camp offers very comfortable, solar powered tree house chalets in the bush. 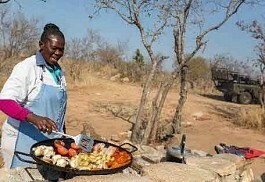 The camp allows guests to really feel 'part of the bush'. Guests are guided by expert rangers, and with it being the sister camp of Africa on Foot, guests staying at nThambo are also offered special walking safaris after their morning game drive. nDzuti Safari Camp provides an intimate bush retreat with just 4 rooms leading off the main house, established gardens, a wide viewing deck with sun loungers and swimming pool. It is ideal for families or groups travelling together. There are daily flights from OR Tambo International Airport (Johannesburg International) to Hoedspruit Airport (also called Eastgate). 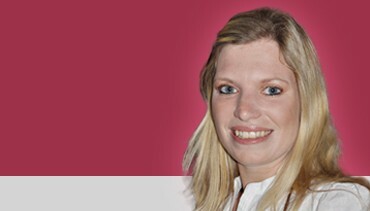 Sun Safaris will book their guests on flights from OR Tambo to Hoedspruit, should they opt for this option. From Hoedspruit, guests will connect with a road transfer, which will take them on the short drive through the reserve to their lodge. All the Klaserie Game Reserve lodges are accessible via self drive with a sedan rental car from anywhere in South Africa. South Africa is a wonderful country to explore on the road, and Sun Safaris would be happy to arrange a hired car for their guests. From Johannesburg, a road trip would take roughly 6 hours without stops, while from Hoedspruit airport it is merely a short drive to the lodge. The Klaserie Private Nature Reserve is part of an exclusive, privately-owned wildlife sanctuary. The area is renowned for the Big 5 and incredible game viewing opportunities and guests can also expect to see an abundance of plains game and beautiful birdlife. The Klaserie River and the surrounding dams are visited by hippo, huge herds of buffalo, elephant and rhino, all of which like to wallow in the mud. Predators are aplenty with superb cat sightings, as well as the endangered African wild dog. This reserve is home to both the Southern ground hornbill conservation project, as well as it is a breeding site for the endangered white-backed vulture. Both these large and unusual looking birds can be seen while out on game activities. The neighbouring reserve, the Timbavati, is where wild white lions live but because there are no fences separating the reserves, the resident Klaserie lion pride also has the white gene. The weather in the Klaserie Game Reserve is regarded as subtropical: very hot and humid with rainy summers and cool, dry winters. Summer is also the season for rain and occasional afternoon thunderstorms and is from October to March. The days are hot and humid and the thunderstorms bring relief in the afternoons. The days are usually hot with temperatures as high as 32 degrees Celsius. The evenings are cooler and more comfortable. The dry winter season, is from April until September. The days are sunny and warm, however evenings and early mornings can be cold with temperatures dropping to 10 degrees. Water is restricted during the dry winter months, hence animals are easier to find as they tend to stick to the water holes in the area. The winter months are classified as your best game viewing months.